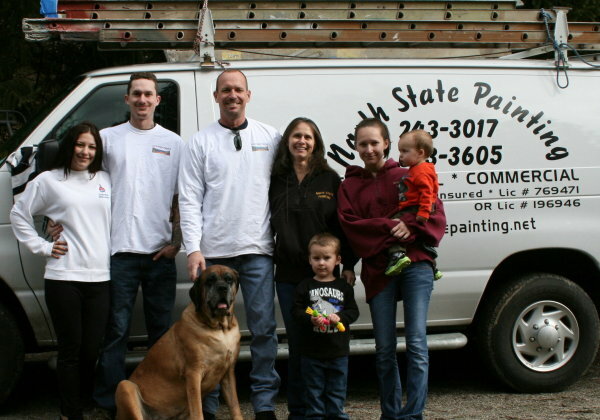 North State Painting is a family owned and operated company. 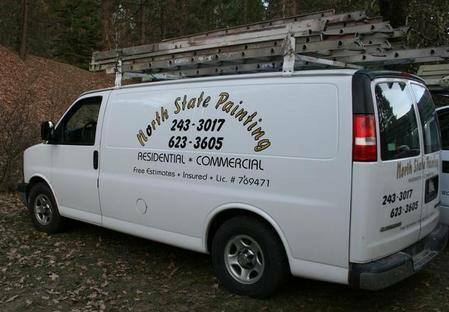 We have been serving the local communities for over 18 years here in the North State and have been in the painting and construction industry for over 30 years. Shawn is the owner of North State Painting and hold both class B (general contractor) and class C33 (painting contractor) licenses. We have done all aspects of work for painting from Airport hangers, Apartment complexes, Banks, CHP facilities, Churches, Docters offices, Grocery stores, Homes, Hotels, Jet Fuel & Water tanks, Movie theathers, Power Plants, Schools, Shoping malls, Waste Water Treatment Plants and more. Shawn all so has extensive carpentry skills that he has past on to his son who work by his side on most project. They can do all water damage or dryrought damage repair that may be needed. Do you want a wall removed or added, need to change out a door or window, how about a new patio cover we can do that too. Exterior or Interior we can help you seal, protect and improve your property for years to come. We work with individuals and businesses to turn their everyday environments into functional, beautiful and inspiring spaces. We have a reputation for offering the highest quaility of professionalism and dedicated service of going above and beyond. We place great emphasis on building strong client relationships and tailoring our approach to meet each individual client’s needs and delivering on time and to our clients satisfaction. Our crews are very professional, reliable and trustworthy. We have a strict drug free work place policy. All of our crew members have clean background check do to all the work we do for the State of California Highway Patrol, they are security checked regularly. We are certified as small business and registered with DIR as a Public Work Contractor by the state of California. Our company is HUBzone certified and registered with SAM for the Fedral Goverment. We look forward to providing you with quaility service in the future. Call us today to set up your free estimate!